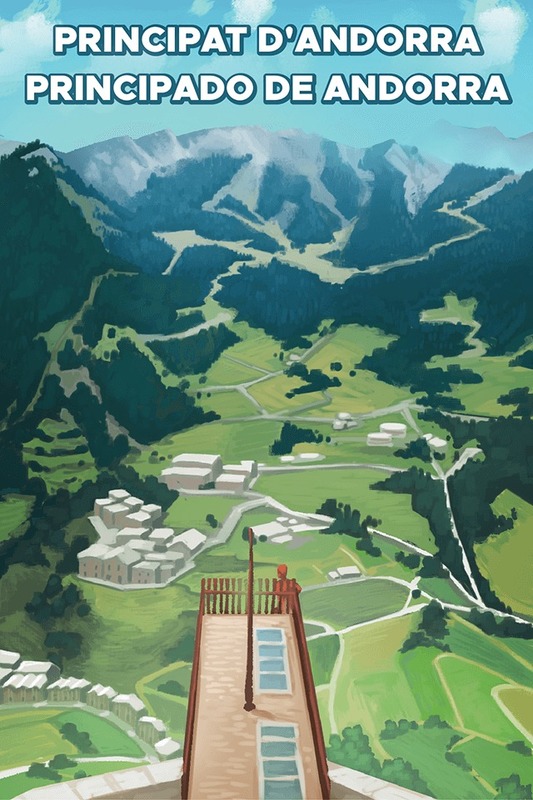 Today we release a new country/regional souvenir for Andorra! 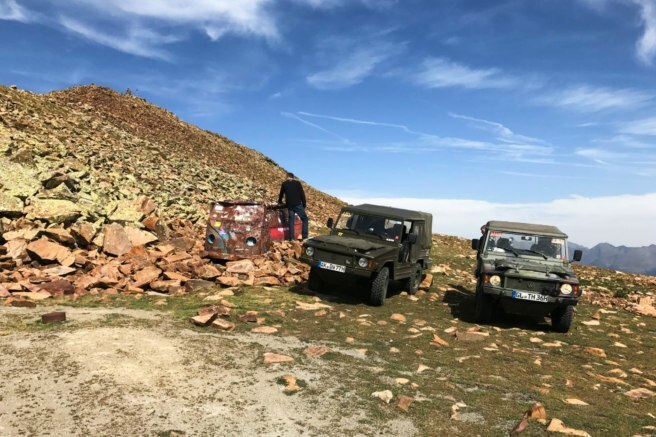 If you have found a geocache in Andorra, you automatically receive the souvenir on your profile. Located in the Pyrenees mountains of southwest Europe lies the marvelous country of Andorra. Europe’s sixth smallest nation enjoys a variety of microclimates such as alpine, continental, and Mediterranean. Andorra La Vella has the highest elevation of any European capital city with an elevation of 1,023 m (3,356 ft). Unique, no? 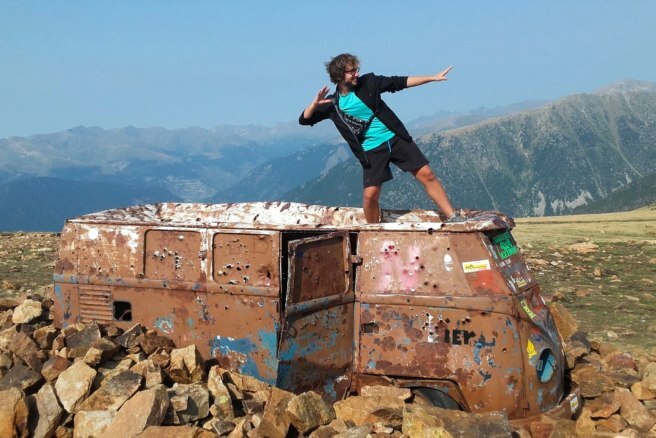 Something else that’s beautifully unique is our Geocache of the Week: a retired Volkswagen bus hauled 2,600 m (8,500 ft) up to the top of a rugged mountain, surrounded by a hillside of sharp and gnarly rocks. You know this one needs to go on your List of dream caches to find! A refuge for hikers, shepherds, and hunters. 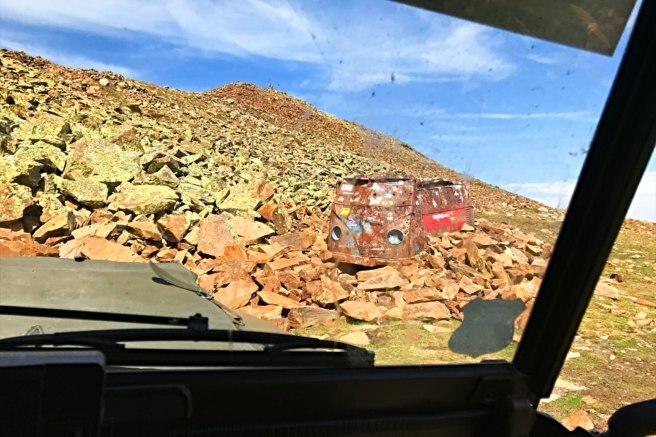 The vehicle was brought to the remote location in the 1980’s as a refuge for hikers, shepherds, and hunters. The engine was disassembled and the bus was surrounded by heavy stones to ensure the harsh wind and snow didn’t eventually topple it over. But it wasn’t until August of 2015 that someone had the brilliant idea to hide a geocache here. The terrain rating is only a T3 because it’s possible to drive here from a nearby adventure park if you have a 4-wheel drive. But you can also make the trek from several of the nearby (free!) mountain cabins that are dotted throughout the area for industrious outdoor enthusiasts. 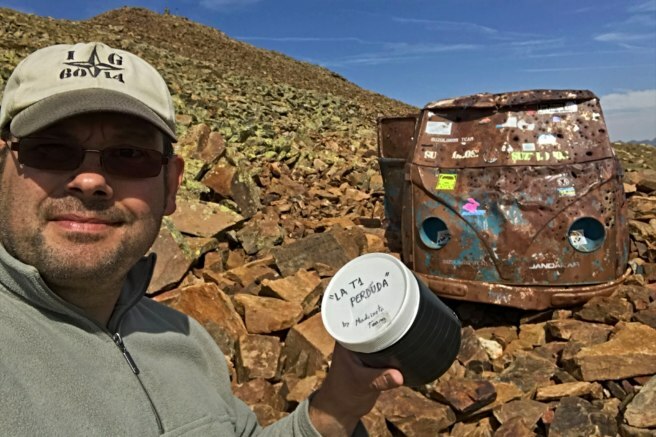 Keep in mind that T3 is the lowest terrain rating for this cache. But do keep in mind that T3 is the lowest terrain rating for this cache, which will vary depending on your approach and the weather. It is recommended to seek this cache in the late spring or summer. The payoff is well worth the effort! 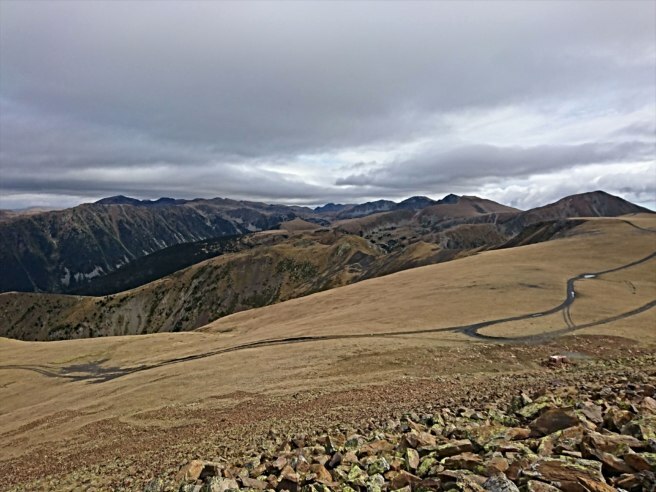 As one cacher logged, “The climb is considerable, in some sections we had to get off the bikes and go on foot, but with the great views that we have enjoyed during the whole climb and the final prize, all the effort made has been compensated! We know geocachers love country and regional souvenirs and we do too! We are releasing at least one new country/regional souvenir per month starting in January 2019. These new souvenirs will be featured alongside Geocaches of the Week in each region and shared on the third Wednesday of each month. Check out all of the Geocaching souvenirs here.